It’s no secret that the Catalan city of Girona is home to many of the world’s top professional cyclists. 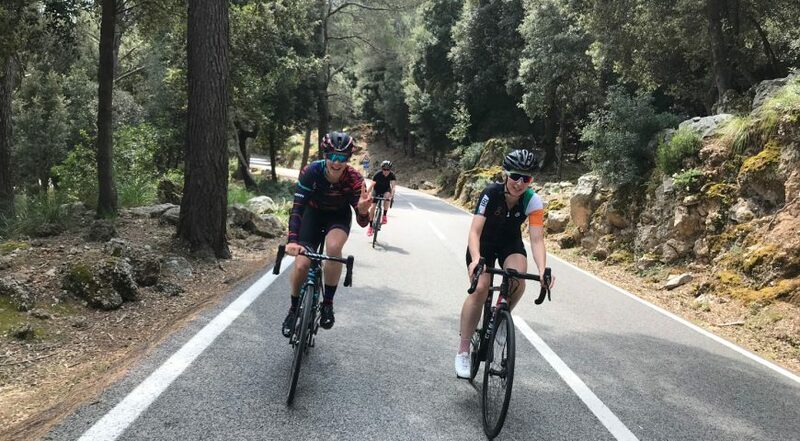 Whilst many of us don’t have the luxury of choosing where in the world we’d like to live based solely on cycling suitability, the best bike riders in the world do – so, when deciding where to go on your next cycling holiday, it’s well worth paying attention to where the pro’s prefer to spend their time! The 14th Century fortress city, with a population of around 100,000, features a highly ‘Instagrammable’ old town littered with narrow cobbled streets, Roman ruins, city walls and a cathedral. The temperature rarely drops below 0, even in the depths of the coldest of winters and with summer seeing low 30’s, Girona never gets too cold or too hot for cycling. Being a training ground for professional bike riders, as with Mallorca years before, cycling tourism has naturally followed. This has resulted in a growth of cycling café culture in the city along with high quality bike shops to cater for the new visitors. Heading out of the city by bike, it only takes 15 minutes to reach a more rural setting. It’s here that the real reason to visit Girona for a cycling holiday becomes apparent. The roads are well built (read smooth! ), quiet – there’s very little traffic to contend with and the terrain is variable meaning there are flatter riverside roads or even the coastal roads to the South-East of the city and, to the West, the mountainous volcanic Garrotxa region which features the famous Muntanya de Rocacorba climb. Just East of Girona is the Els Angels climb, a 10km climb averaging 3% and pitching up to over 8% in parts – the top of which, interestingly, is where Salvador Dali was married. North of the city is the Mare de Deu del Mont – a 1000m, 21km climb with an average gradient of 4.8% and a nasty sting in the tail of 10-11% over the final 2km. Food-wise, Girona offers many culinary delights. Expect plenty of seafood (sometimes served with chocolate! ), sweet ‘botifarra’ sausage, pastries, wild mushrooms, foie gras, truffles and the Catalan local liquor ‘Ratafia’. Visiting Girona in May means temperatures of around 20 degrees – perfect riding weather! Find out more about booking a Velusso Holiday to Girona here.